The male is above and the female is below. The male is closer to the correct colour. The flash turned the female silvery. 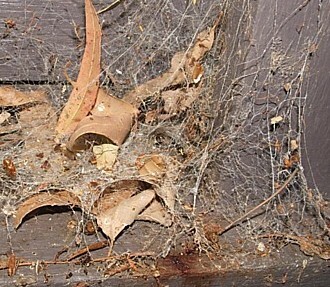 The window-sill web below sat undisturbed by human activities for about seven years. B. insignis individuals came and went and I guess that this was a prize location because there were always large examples of the species inhabiting it. They can not have been the same spiders for all that time. 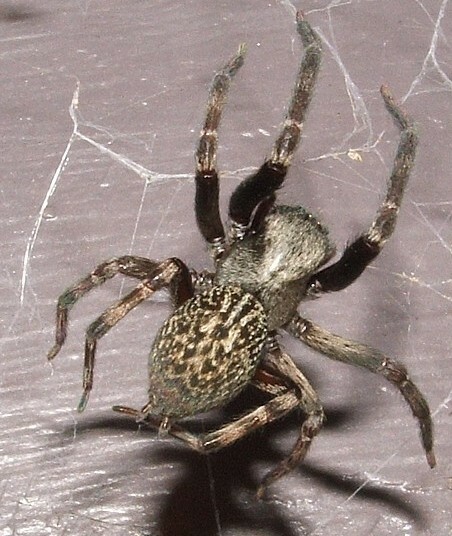 It gathered bits of leaf and grass cuttings and became a very tough, shaggy and complex web shelter. 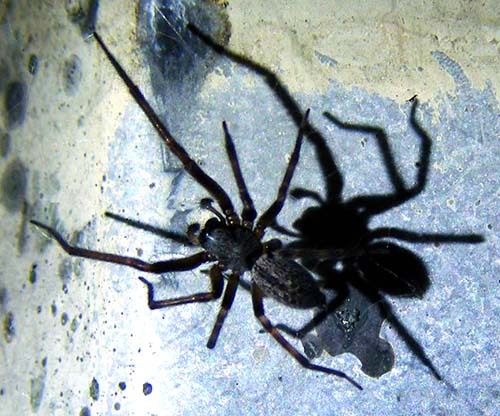 The funnel shaped structures that cause people to be concerned about deadlier Funnel-web Spiders are clear.